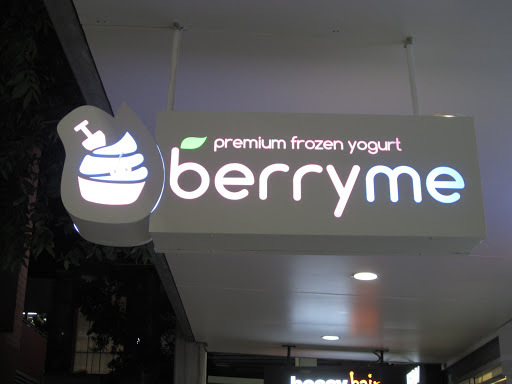 Berryme is a cute-looking frozen yoghurt shop located in Kelvin Grove Village. Pink walls, white tables and pastel green chairs – looks fresh and cute for a dessert shop. The self-serve concept is very simple. 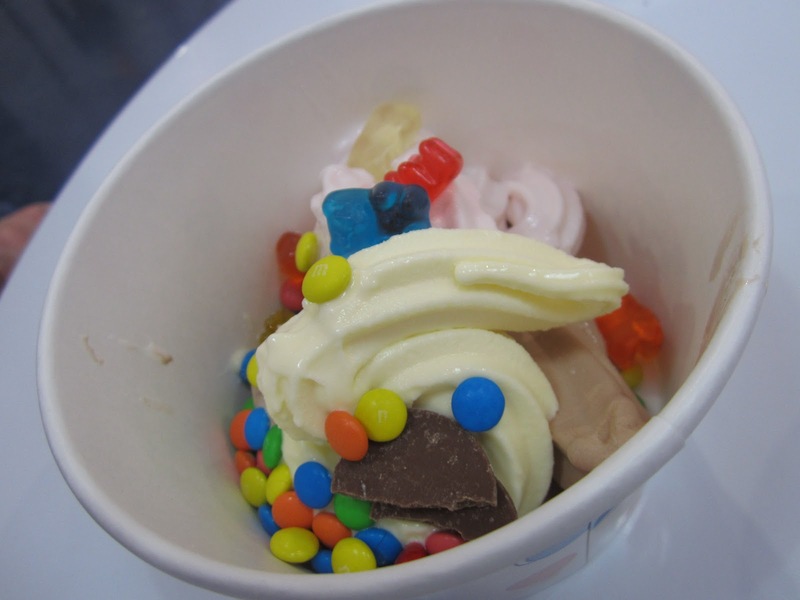 Pick a cup, Choose flavour(s), Add toppings & Weigh and pay. 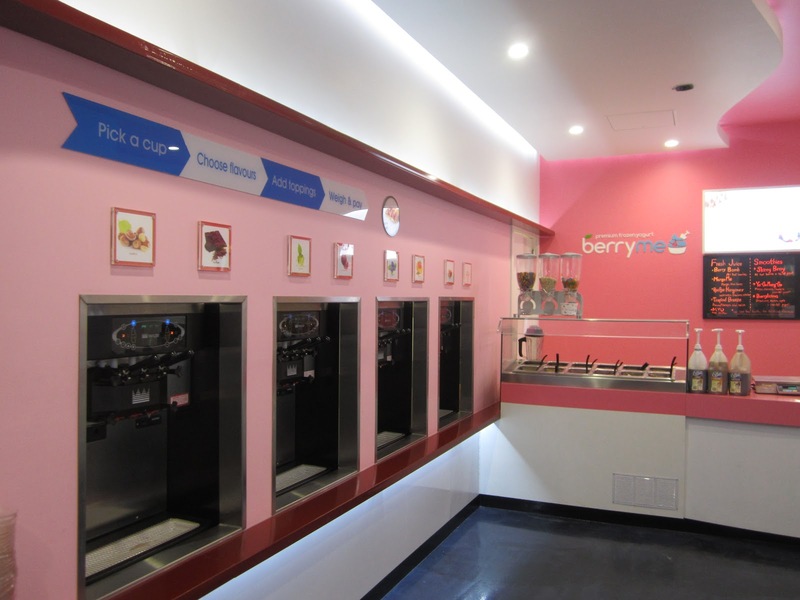 I have tried all the flavours and liked them all. If I has to pick only 2 favourites then it would be chocolate and green tea. Apparently it is really healthy and good for you. 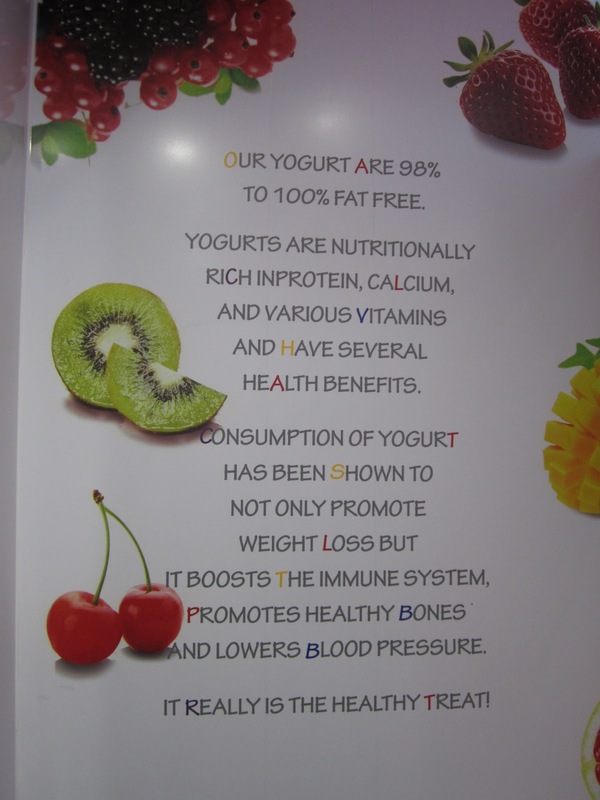 Check out their marketing propaganda on the cup and also on their wall. This has become my favourite after lunch snack. I’ve been there many time over the past few weeks and have introduced some of my friends and workmates to it too. 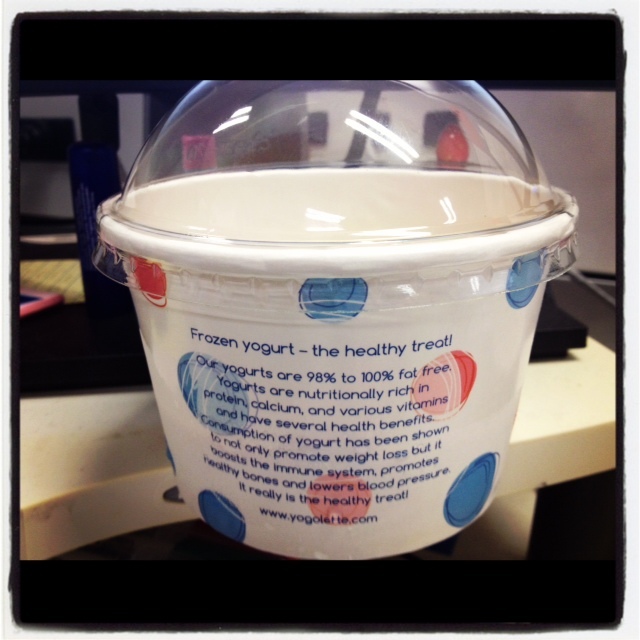 This is a great and healthy snack for the upcoming warmer months.